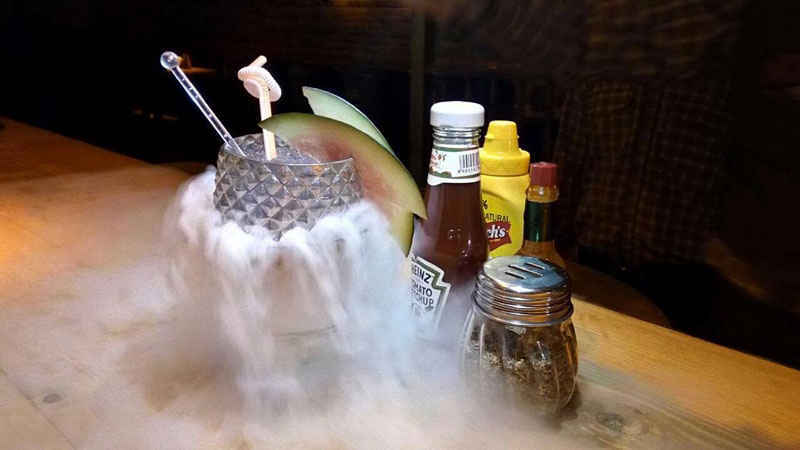 With so many restaurants spearing up in the capital, Delhiites are always in for a feast! One such newbie in town is 3 Pegs Down located in the hub of cafes at Southern Park Mall in Saket. And we, just like the crowds, couldn’t resist visiting a place with such a quirky name. The place has a countryside-like set up with a wooden ambience, yellow lights, revolvers guns and wooden guitars displayed on one wall, hats and bull heads jutting out of the wall where you’re instantly transported to a shot out of a hollywood movies. To make it a tad more realistic were the waiters dressed up as cowboys with traditional hats and dummy guns in their pockets. Cool! The restaurant is divided into sections like a dining area and a wanted section which has wanted posters strewn all over the place! Here's what we tried here! When we were finally able to control our admiration for the place we ordered their most sought after cocktail called Whiskey Revival. Though the whiskey content was on the higher side, the mild fruity flavours in every sip made it super refreshing. This was followed by another cocktail, Watermelon Mojito. With subtle watermelon flavour, this vodka based drink is perfect for a summer afternoon! The dish was made up of paprika-rubbed grilled chicken tossed with roasted peppers, sundried tomatoes and corn. 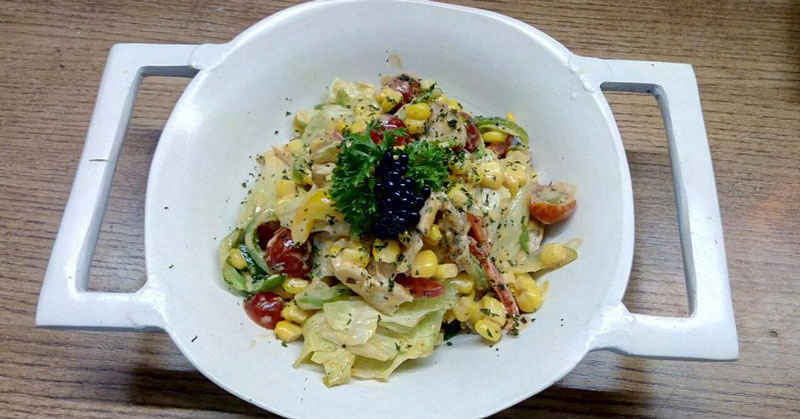 A perfect combination of yummy and healthy, this salad was one of a kind. Next up was a Non-Vegetarian Platter. 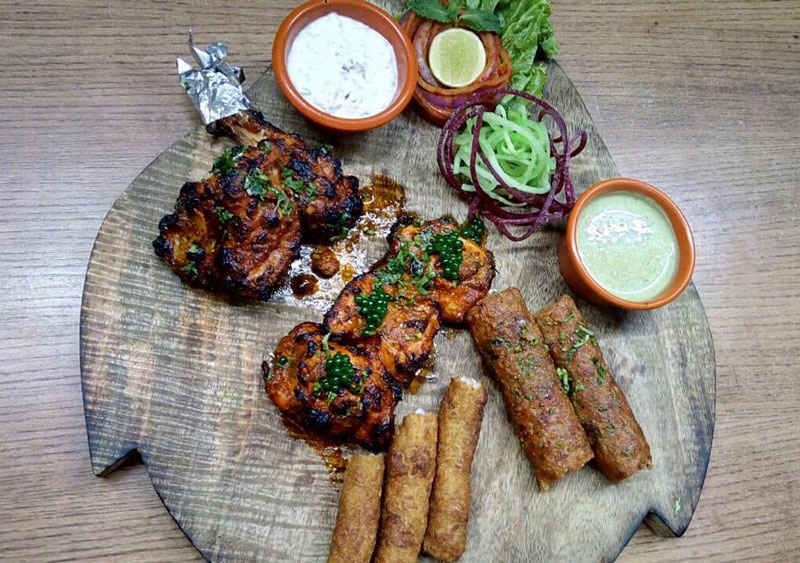 On the platter was Mutton Seekh, Classic Chicken Tikka, Sea Stock and Chicken Skewers dipped in teriyaki sauce. It was served with creamy mayonnaise and spicy mint sauce. We call it a heavenly platter! Texas Basilica was served in a unique and classy silver glass. 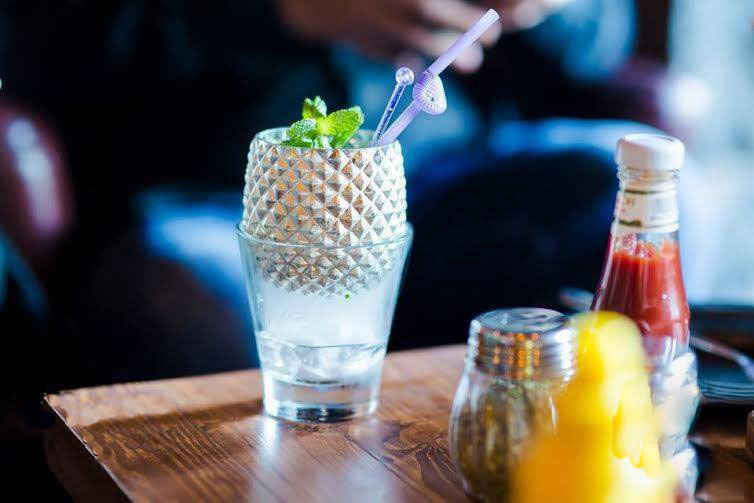 Made up of strong flavors like basil, honey, vodka, mint and blackberries, the drink was superb! For the main course, we ordered Murg Makhani and Butter Naan. 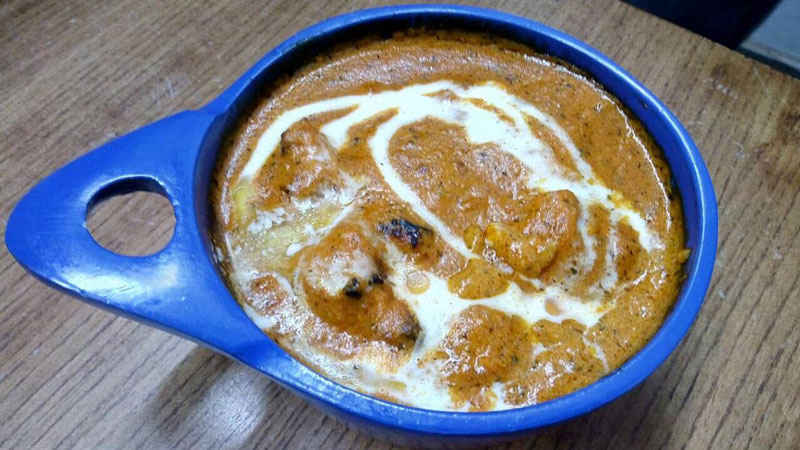 The creamy gooey gravy with soft luscious chicken and butter naans, made our Punjabi belly super happy and satisfied. With this we ordered Dal Makhani, afterall no punjabi meal is complete without it. 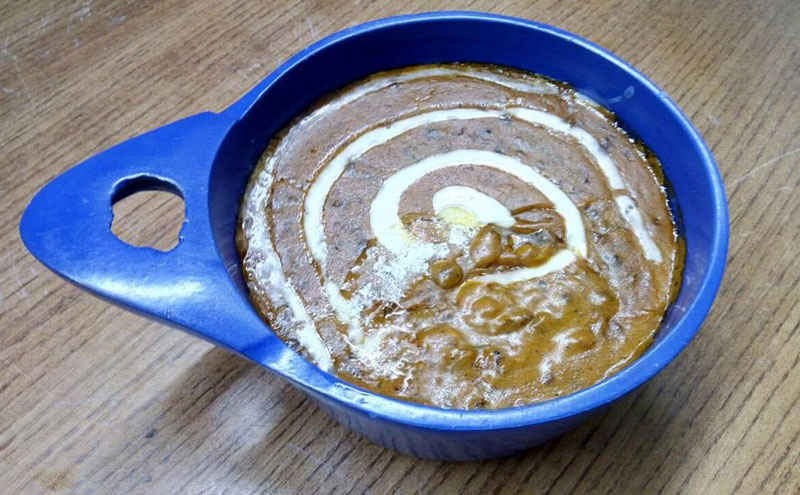 The dal was creamy, flavourful and equal parts yummy, and we just couldn’t be more pleased. And last but not the least, we ordered Chicken Yakitori Udon Noodles. 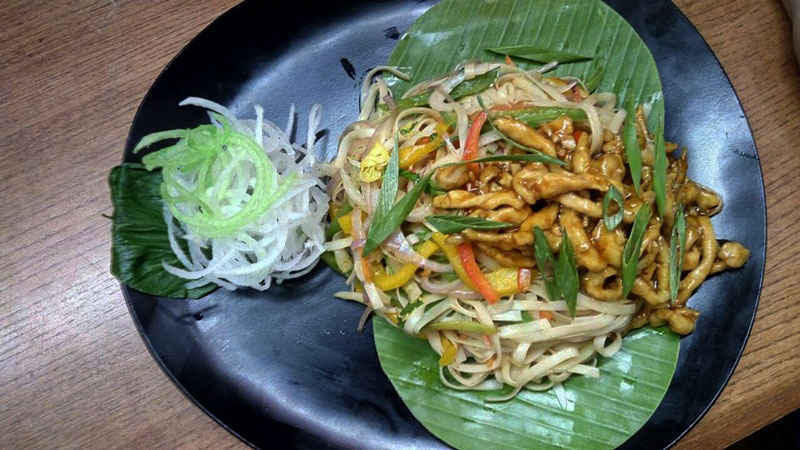 The Japanese dish with stir fried noodles in a curry sauce tossed with crispy chicken, is one unparalleled dish. The restaurant’s vast menu and the ambience is the reason we’ll go here again and again. Afterall, who doesn’t like devouring their favourite dishes in the backdrop of a fancy ambience!